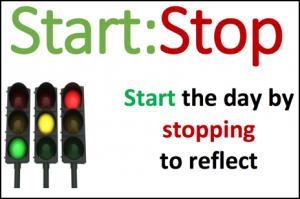 Start:Stop enables working people to start their day by stopping to reflect for 10 minutes. 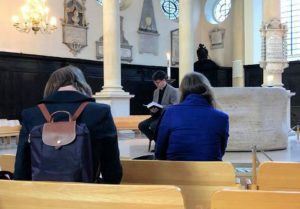 Every Tuesday morning we have a rolling programme of work-based reflections at St Stephen Walbrook. Every 15 minutes between 7.45am and 9.15am, a 10 minute session of reflection begins. These sessions include bible passages, meditations, music, prayers, readings and silence. You are invited to call in on your way into work at any point between 7.45 and 9.15am on Tuesdays mornings to start your day by stopping to reflect for 10 minutes.